You almost had us, Nintendo. During today's special Super Smash Bros. 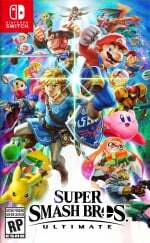 Ultimate Direct, several new fighters were revealed, and at the end of the broadcast it seemed as if the prayers of Donkey Kong Country fans had been answered with the appearance of King K. Rool - only for it to turn out to be King Dedede in disguise. Thankfully this was all a little trick, a knowing nod from Nintendo to acknowledge that fans have been asking for K. Rool in Smash for ages. The mighty green one was finally confirmed just seconds later (and promptly put Dedede in his place, too). So there you have it - after what feels like forever, K. Rool is finally part of the Smash roster. Are you looking forward to playing as him? This was an amazing trailer. I got chills. And Dedede trolling was so Sakurai. Bravo. And THAT means that the 11characters LEAK is confirmed. Nintendo knows that reptilian is the king of the world. King R Kool. This was the most emotional reveal trailer of my life. Now all we need is a new DKC game by Retro Studios with King K. Rool. Ridley, Dark Samus, and King K.Rool. Not to mention the return of Gerudo King Ganondorf, Wolf, and Bowser as usual. This is really shaping up nicely for villains at long last! Never saw the appeal of this character. But hey,more fighters to choose from. The meta trolling was done just right best part of the Direct and I'm not even a DKC fan! This was the best trolling video I've ever seen. @LegendOfPokemon No, why do you want them to be echo fighters? Again...forgotten glory. The Kremlins were great characters. @Grandvision Isn't this the same leak that said certain characters won't receive trailers until post-launch? 'Cause that contradicts what Sakurai said completely, that every character will be revealed before launch. Wow, wow, wow. I can't believe it's actually happening. Sakurai is the best, much respect man. Kudos to that tease too, that was awesome. And with my terms I've come to about Ray Mk ever being playable, this eases the pain. This is outstanding news! King K. Rool is such a great character, and people have been begging for him for ages, just like Ridley! @Grandvision That leak is garbage. It said two characters would be revealed in July and that one would have been revealed at EVO. None of that happened. @WaveBoy Cool! I’m excited to play as him. 'Leak' and 'Logical guesswork of who's realistically left' are surprisingly similar. So happy about K. Rool! My only disappointment from this Direct is that Shovel Knight is an assist trophy instead of playable. But the fact that he's in at all is terrific. Woke up this morning, saw all the headlines, and swore audibly. Simon Belmont? King K. Rool with his Blast-O-Matic as the Final Smash? It's like they knew what I wanted to see! Only Isaac is left now to make the game truly ("K. Rooly"?) perfect. I am SO happy they went with King K Rool instead of Dixie, Cranky or any other Kong. I'm also happy Sakurai ended the stream with this reveal. Started and ended on strong notes. Whoa, they’re really fulfilling the fans’ dreams with this game! I for one am not particularly a fan of KK Rool, but I’m happy they’ve listened to the fans. Now I only need Skull Kid and I’ll never ask anything for Smash! I’m so happy. Now we just need Cranky and Dixie! Those were my exact emotions. I saw Belmont and got excited, the new features, echo fighters, everything was so great... until the reveal of Shovel Knight as an Assist Trophy. My heart kind of sank at that moment. But the King K. Rool reveal made it a little better. People have been asking for this guy, and now he’s here. Starting to wonder if that leaked list is true. You can tell Sakurai was trolling us a bit there with Dedede, good to finally see K. Rool after all these years of no-show since the Rare Nintendo departure. @Kinoen All Kongs should be in this game as echo fighters. Dixie, Cranky and even Funky. I'm hoping it will be revelead soon or later. Smash bros you never cease to amaze. King K rool. KING K ROOL!!!!!!!!!!!!!!! Oh! Yeah! We waited for K.Rool! Our wish is granted! Oh man, I am over the moon! With so many awesome fighters, I have no idea who to main as. 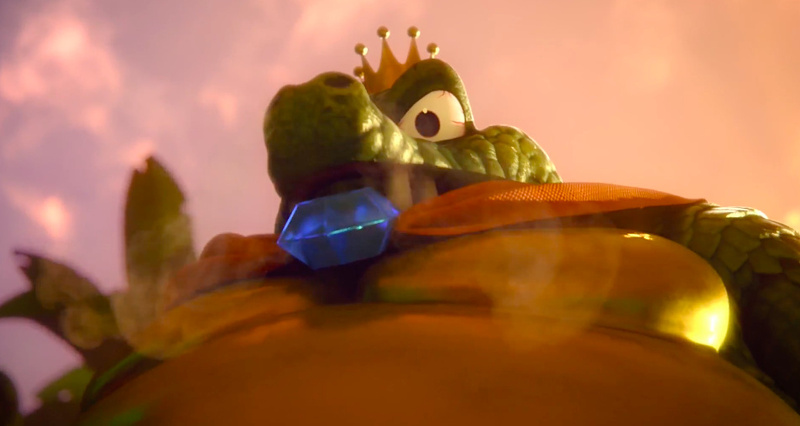 So, King K. Rool tops Bowser's Tough Guy armor by simply being able to repel attacks with his belly? I wonder how that would work in terms of gameplay, but it would be funny if Rool ends up being a high or top tier character simply because he can repel characters off his belly. I saw the crown toss from DKC1, the Blunderbuss from DKC2, and the boxing gloves and the weapon from DK64. Did DKC3 get left out of the mix? I didn't mention Simon Belmont as a villain. He's not exactly known as one, not in the original series. I don't know if he's treated as a villain in any reboots though, but that's clearly not what they're going for in Smash Bros here. Mr Sakurai knows what ultimate means. This ride isn't over is it? He was my #1 pic of characters that actually stood a chance of being included. No ARMS characters yet, guess they are still holding that to their chest. @CrazyMetroid Simply put: He was DK and co.'s first villain. He deserves to be here. Very disappointed by Ashley and Mimikyu being killed, but I'm pretty happy with the new features, K. Rool, and Dark Samus. I know K.Rool has always been a fan favorite for many, but I feel this trailer continues to show that Smash can make ANY character cooler than they have any right to be. Also, bonus points to Nintendo for finally giving DK64 some more play beyond the DK Rap! Haha! I love troll reveals - definitely something I would try to pull! Amazing... after me thinking he would've been made it since SSBB, I stopped believing he had a chance, and here. He. Is. I am in SHOCK. I think the trolling of DeDeDe has another meaning though. Similar to how Ganondorf used Captain Falcon as a base, I think DeDeDe serves as the base for K. Rool's Smash character, but that's my theory. We'll see down the line once we have more info. And now Nintendo's original main franchises are all complete with bad guys now! FINALLY! I saw him using the propeller-pack that he uses in DC3, so that game's accounted for too. Not really sure what to say. He's the character I've wanted the most since the announcement of Brawl. Pretty emotional by the end of the trailer, was actually physically shaking a little bit haha. So glad he's finally playable, it's been an incredibly long time coming. Welp, I guess that just leaves Goku and Shrek, then. reveal maybe on gamescom or somewhere else . We have time until Dec. Highlight of the Direct for me(which, was a good show). I've wanted the King in since Melee, so this is a dream come true for me. With the newcomers in Ridley and K. Rool and the return of Wolf, most of the Nintendo franchises have the bad guy rep. What a roster! Right, as much as I detest the idea, I am now under the illusion that Goku is coming to Smash after you have collected enough spirits and he will be the ultimate challenger. Sod it. Sakurai is a sleep deprived madman! Remember when people said Nintendo couldn't use K. Rool anymore. LOL. For me this is truly a dream come true, I have been wanting K. Rool in smash since Brawl and now that it is actually happening it almost doesn't feel real, like it is an elaborate tease. All we need now is Geno and this game will feature probably the three most requested Smash characters since Brawl. Man, first Ridley and now King K. Rool. Those are two highly requested characters that finally made it in. They're really making this game a fanboy's dream come true. Also, I love how his moveset incorporates elements from all of his appearances. He has the crown throwing move from 1, his musket from 2, his propeller from 3, and his boxing gloves from 64. He's always such a wild card villain and seems to come up with a different theme every game and his moveset really shows it. He is the real villain in Donkey Kong Country so great news! @BlueOcean I will be very disappointed if Banjo-Kazooie doesn't make the cut. Never played DKC as a kid, but glad to see villains and heavyweights getting some representation. I'm still hoping for a Ravio echo fighter. Now can we get him back in a Donkey Kong Country title but more than excited over this..
@Caryslan He does have a helicopter backpack for a recovery, which would be DKC3. The move with his stomach looked like a Fire Emblem style counter to me. I'm trying to figure out the fighting style...I'm guessing the boxing gloves hits as hard as DK does, but he has a projectile game, too. He didn't seem near as mobile as DK, either. @Caryslan I watched ttailer again...helicopter move gives him some vertical recovery. I don't think he's as fast as DK on the ground, though. More mobile than I was thinking a minute ago.